Some of them not only followed their owners into exile but also lost their lives on the same tragic night in July 1918 when the Romanovs were killed. Interestingly, though, one dog managed to survive and ended up in the UK. Love towards animals was one of the things that members of Russia's last royal family were known for. They had many dogs and cats and some of them remained by their owners’ side in exile in the Urals. 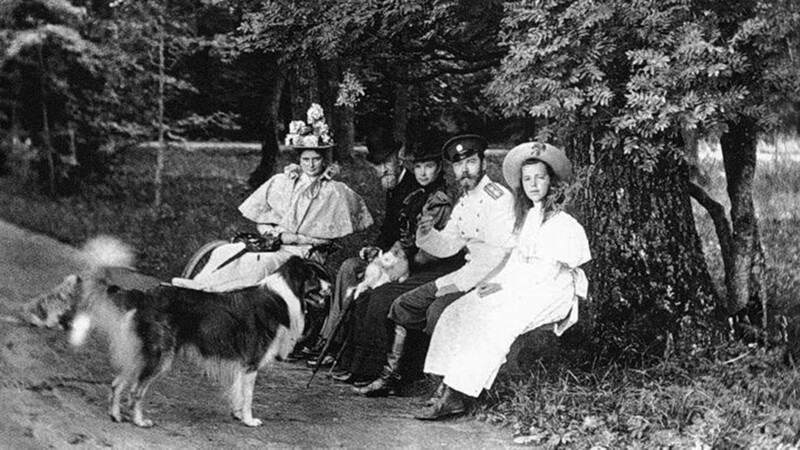 The three dogs that joined the Romanovs in exile were: Ortipo, a French bulldog that belonged to Nicholas II’s daughter Tatyana; Anastasia's Cavalier King Charles Spaniel, Jimmy; and Alexei’s cocker spaniel Joy. Optipo was a gift presented to Tatyana in 1914 by an officer recovering in a hospital that the grand duchess visited. 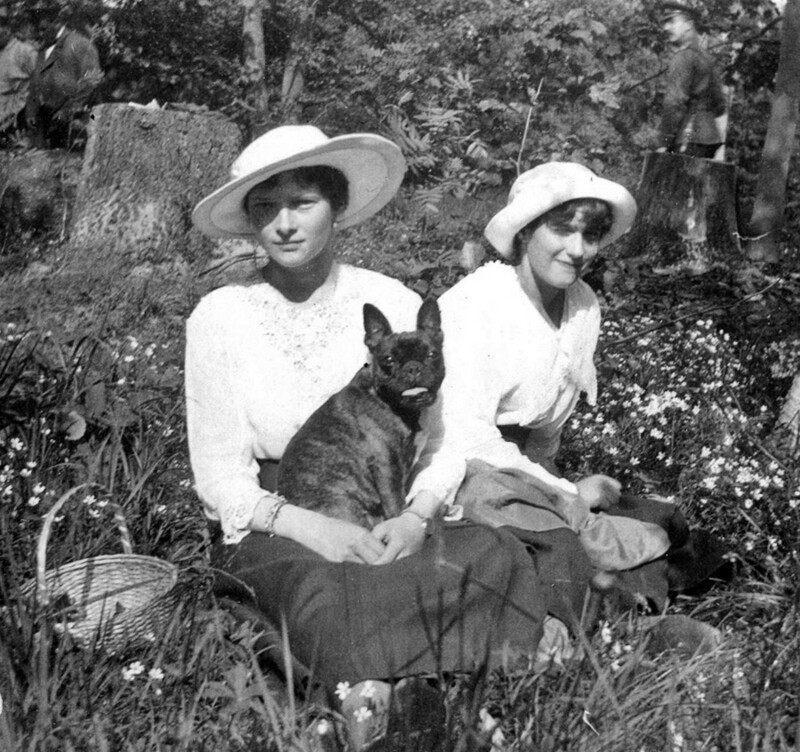 Nicholas II’s daughters loved to spend time watching the dog: “The dog is overly cute,” Tatyana wrote in her diaries. The heir to the throne, Tsarevich Alexei, grew up as an energetic, fun-loving and curious boy. The hemophilia that put his life at constant risk taught him to be strong, patient and merciful towards others. He didn’t have many friends and the main happiness in his life were his pets: a cat named Kot’ka and a dog called Joy which almost never left his owner’s side. Joy was a descendant of a cocker spaniel brought from Great Britain and became inseparable with Alexei: the heir took the dog with him on holidays and trips. Nicholas II sometimes took his son to the front to support the morale of the troops and strengthen Alexei’s patriotism. Joy didn’t miss such trips either. Kot’ka was a big, furry cat, a gift from general Vladimir Voyekov, the chief of the Tsar's personal guard. Kot’ka couldn’t hurt the boy – its claws were taken out because Alexei suffered from hemophilia and any scratch could have been fatal. Alexei though didn’t know about it: Voyekov didn’t want to tell the impressionable boy about it – instead he said the cat simply could not release the claws. Alexei and his sisters loved the cat and asked their parents to allow them to bring another one but with orange fur. It was named Zubrovka. 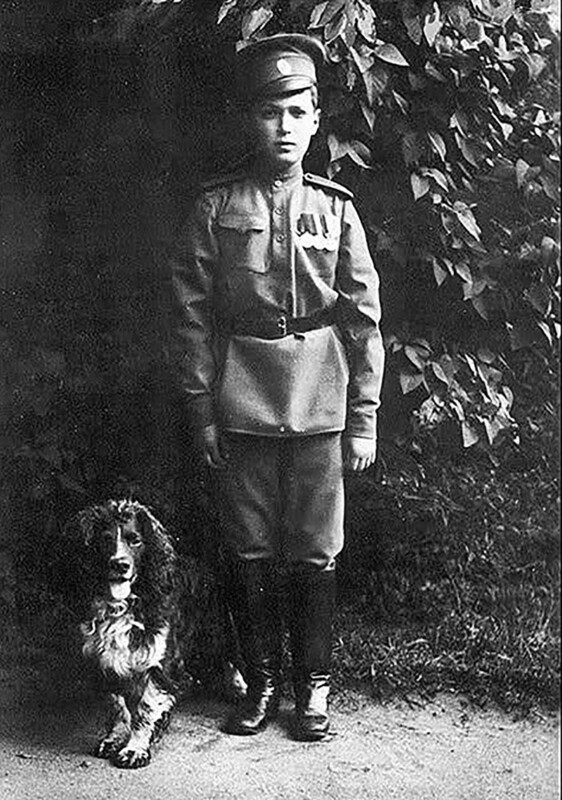 Tsesarevich Alexei always took Kot’ka with him wherever he went and sometimes even brought him to high-level dinners that “frightened those who were afraid of cats,” Voyekov remembers in his memoirs. (link in Russian) Alexei, afraid to lose Kot’ka outside of the house, rarely took the cat on walks. Leaving their royal residence in Tsarskoye Selo to live in exile in Tobolsk, the family couldn’t take the cats with them: Kot’ka and Zubrovka remained in the palace with other cats (according to some accounts there were later adopted by kind-hearted people). However, the three dogs were taken on the long journey with their owners, becoming the only comfort for the family. The new life in Tobolsk and then Yekaterinburg was an unimaginable freedom for the dogs: “Joy, Ortipo and Jimmy are thriving. The first two had to be shooed away from the yard where they enjoy themselves in the garbage pit eating some rubbish…” Anastasia wrote in her diary in November 1917. The calm life ended in July 1918 when the family was murdered. Joy was a naughty dog and often ran away – this saved his life because he wasn’t at the Ipatiev House where family lived when the tragedy happened. As for the other dogs, Anastasia was holding Jimmy when executed (later a dog’s body was found) and Ortipo was probably somewhere outside, which saved him for some time. 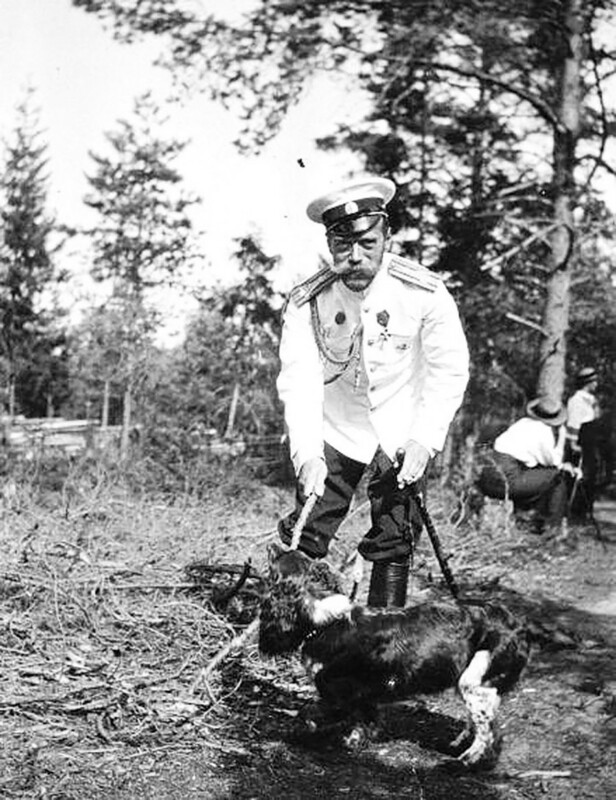 Later people recalled seeing two dogs near the Romanov’s house. After coming home Ortipo barked loudly and made too much noise – it annoyed the guards so they killed it. Joy, who rarely barked, scratched the door and survived. After a while Mikhail Letyomin, one of the Red Army officers guarding the abandoned house took pity on the dog and adopted it. When the White Army took the city one of its officers, Pavel Rodzyanko who knew the royal family quite well, saw Joy on the street and the dog led him to Letyomin. The latter was arrested and Rodzyanko took the dog in memory of Alexei who didn’t live to see his 14th birthday. Later, Joy accompanied Rodzyanko to Vladivostok after the army retreated and then crossed half the world to the UK and was given by the officer to King George V – a cousin of Nicholas II. Joy got a place at court, lived a long life there and was buried in the cemetery of the royal dogs at Windsor castle. The Romanovs were executed almost 100 years ago, but some questions as to why there were killed remain unanswered to this day.